More on the Wholesale Interiors Four Seat Curved Leather Home Theater Sectional (Black) 8802-BLACK-7PC below. 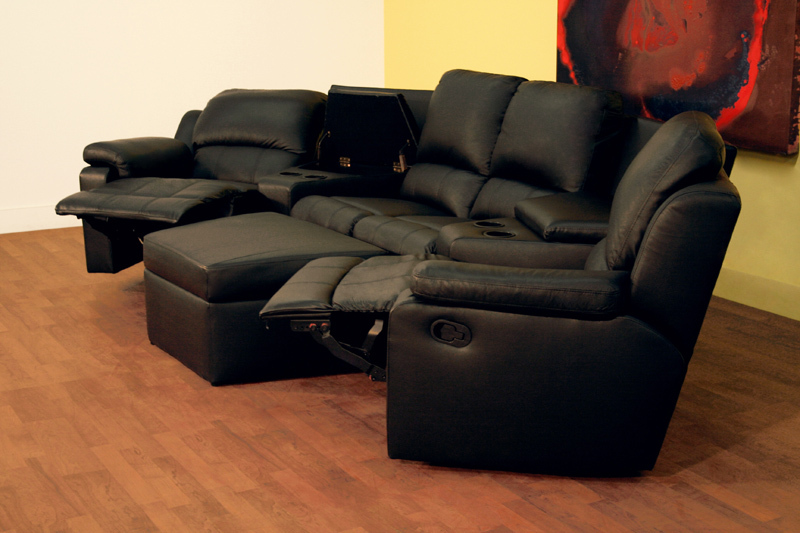 With a contemporary, classic home theater feel the Wholesale Interior's reclining home theater collections are a new standard for quality in home theater seating. 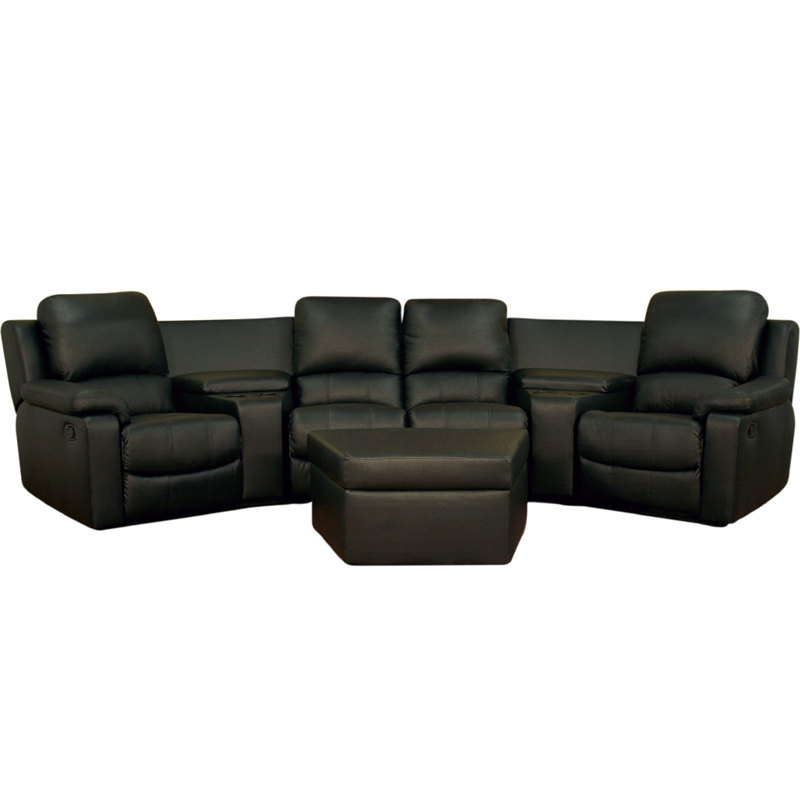 7-piece set features a curved row with 4 seats (2 recliners), 2 consoles and an ottoman. Leggett & Platt style reclining mechanism. Plastic cup holders as added value. 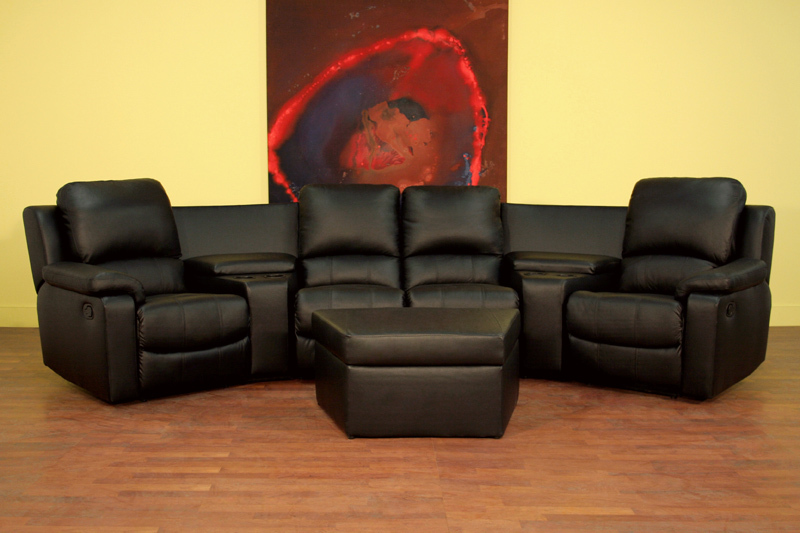 Top grain leather on all the seating surfaces. Vinyl leatherette matched to the back and sides.